Daniel promoted Jungle on Radio X's The Chris Moyles Show yesterday. The podcast is available on iTunes. Or listen to it below. Podcast 101: Does Daniel Radcliffe drink Um Bongo?. Daniel's part starts at 0:46:50. Also in the podcast: Daniel records the "address jingle" for the show. 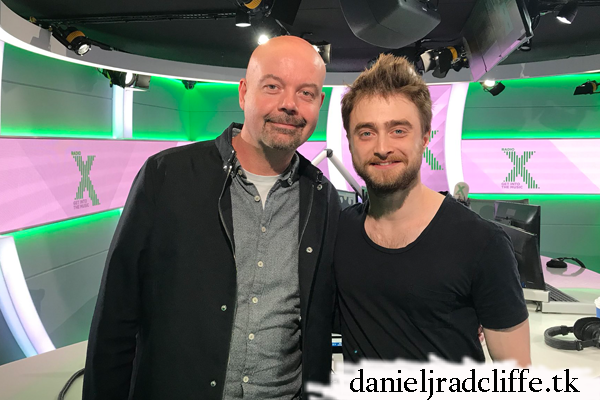 "Dom from The Chris Moyles Show On Radio X asked #DanielRadcliffe the one question we've all been dying to ask...does he like Um Bongo?" Daniel Radcliffe tries to teach Dom how to do the "double take".